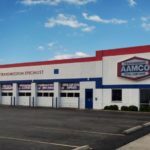 AAMCO, the world’s largest chain of transmission specialists and leader in total car care, recently announced it has adopted a new point-of-sale (POS) system to provide greater transparency for local shop owners. The new POS system began rolling out to AAMCO centers in December and is expected to be in all AAMCO shops nationwide by August 2017. The POS system is just the latest in a string of technology upgrades in which the brand has invested to continue to ensure its tools are the best available to franchisees. Through its partnership with ALLDATA LLC, an AutoZone company and the leading provider of manufacturers’ automotive repair information and solutions for the professional automotive service and collision repair industries, AAMCO’s tailored system creates estimates and invoices for customers much easier and faster, driving revenue for franchisees. The POS system is cloud-based and links to AAMCO’s existing Customer Relationship Management and Franchise Relationship Management systems to help franchisees seamlessly monitor, analyze and manage their businesses. AAMCO’s suite of tools will continue to grow and evolve over the next year with a mobile component to go hand-in-hand with the POS system, as well as enhanced analytics. The new mobile tablets will expedite service before a customer even steps foot inside the center. With the integration of this new technology, AAMCO will be providing their franchisees with one of the most comprehensive toolsets available today in order to simplify operations and grow their businesses. For over 50 years, AAMCO’s locally owned and operated independent service centers have employed the latest technology. Expert technicians diagnose a repair, fix it right the first time, and back it with a nationwide warranty. 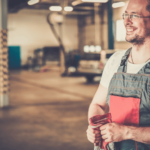 Known as the world’s leading transmission expert, the company has evolved into a total car care brand, providing a variety of services including brake repairs, tune-ups, shocks and struts, routine maintenance and more. 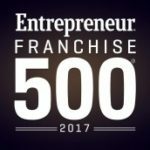 AAMCO was named to Entrepreneur’s 2016 Franchise 500®, ranking at the top of the transmission repair category. Based on system size, growth rate and financial strength, the brand also earned a spot on Entrepreneur’s “Best of the Best” list.